Sunny days are here again! Warm weather means trips to beach, laying out by the swimming pool and enjoying everything else the outdoors have to offer. The summer should be a time to relax and enjoy great weather, but unfortunately, many people are concerned about skin damage resulting from overexposure to the sun. The concern is real, but anxieties can be laid to rest by taking the necessary steps to avoid skin damage. Skin damage is usually the result of natural aging and exposure to ultraviolet light. Over time, the combination of aging and exposure causes the fibers in our skin to breakdown. In turn, our skin is unable to repair itself the way it should and begins to age. Aging is different for everyone, but often takes the form of wrinkles, freckles, sagging, stretching, discoloration, age spots, or even cancerous skin lesions. · Apply Sunscreen. Sunscreen isn’t just for the beach. To protect your skin, you should wear sunscreen every time you are outside. It is best to use ‘broad-spectrum’ sunscreen, because it provides double protection. Broad-spectrum sunscreen blocks both ultraviolet A (UVA) and ultraviolet B (UVB) rays. The American Academy of Dermatology suggests using at least 30 SPF and warns people against solely relying on lotions with high SPF ratings. While a lotion may boast 70 SPF, it rarely offers more protection than standard 30 SPF sunscreen. · Reapply Sunscreen. It’s not enough to just put on sunscreen at the beginning of the day. According to the FDA, you should be reapplying at least every two hours. It should be even more frequent if you are swimming or sweating. · Seek Shade. If possible, seek shade when outside for extended periods of time. The sun’s rays are strongest between the hours of 10 a.m. and 2 p.m., so it is best to avoid direct sunlight during these hours. Shade helps protect your skin from excessive exposure and can prevent dehydration, a direct cause of skin damage. · Wear Protective Clothing. To block UV rays, you shouldn’t wear a bathing suit all day long. You’ll need to give your skin a break by wearing long-sleeved shirts, sunglasses, and hats. While some clothing is better than no clothing, cotton only offers protection equivalent to 5-7 SPF. Do some research and buy clothing with materials designed to absorb UV rays. 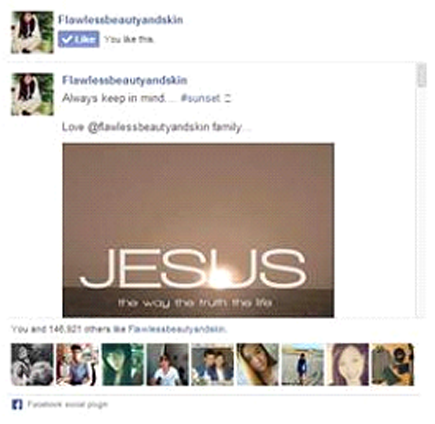 · Watch for Reflective Surfaces. Reflective surfaces like water and sand can intensify the sun’s UV rays and increase the likelihood of skin damage. Try to avoid reflective surfaces whenever possible and remain conscious of your surroundings. · Supplements. Make sure you are eating a balanced diet with all the necessary vitamins and nutrients. If your diet isn’t adequate, consider taking supplements to make up for the areas you are lacking. It is especially crucial to get enough vitamin D.
· Avoid Tanning Beds. Tanning beds may make your skin appear healthier and more radiant, but they are actually a leading cause of skin cancer and wrinkling. It is better to try a self-tanning product and to supplement it with sunscreen. · Dalfour Beauty Ultrawhite Body Lotion with SPF 70-Broad Spectrum UV Protection-300ml -Deep Whitening & Exfoliating. 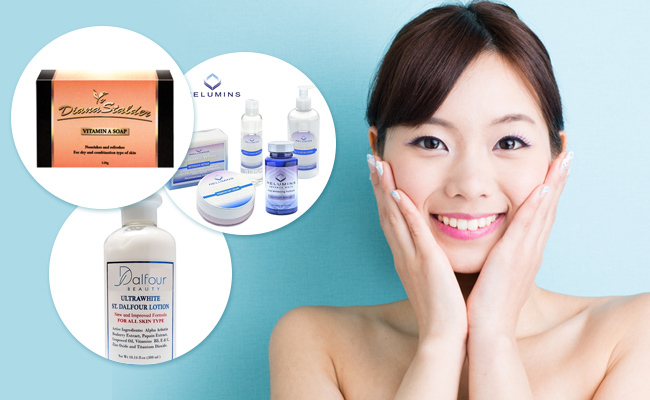 To help your body combat the aging process, try one of Dalfour Beauty’s most powerful skin whitening lotions. This body lotion contains ten synergetic ingredients designed to whiten and protect your skin. It contains alpha-arbutin, a natural and safe plant extract that halts the formation of melanin before it begins. It also has papaya extract for the removal of dead and keratinized skin cells. Other ingredients include vitamin C and vitamin E, the latter of which the body cannot produce on its own. Vitamin E has been shown to increase the body’s resistance to UVB burns and also fights aging. With a broad spectrum of UVA and UVB protection, this lotion is ideal for promoting healthy skin year round. · Authentic Relumins Advance Day Whitening and Protection Set. This set of Relumins products includes day lotion, day cream, intensive repair solution, stem cell soap, and oral capsules. Each product contains a groundbreaking formula designed for effective skin treatment and prevention. The oral capsules contain L-Glutathione complex for skin whitening and other health benefits. The day cream and day lotion combine TA stem cells and placental protein to revitalize and replenish aging skin. 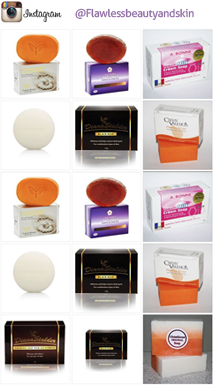 The stem cell soap is designed for everyday use and complements the other products in the set. · Authentic Diana Stalder Vitamin A Beauty Bar 120g. This soap is helpful for fighting acne, wrinkles, and other signs of skin aging. Its key ingredient is retinyl palmitate, an ester of vitamin A. The vitamin A diminishes wrinkles and repairs damaged skin tissue for smoother, younger skin. For best results, wear sun protection while using a retinol based product. If you are looking to make the most of your summer, practice responsibility. Remember to wear and reapply sunscreen, seek shade, wear protective clothing, and avoid reflective surfaces. Additionally, review your diet, avoid tanning beds, and check your skin on a regular basis. To best promote healthy skin, try one of our best-selling products. They are all formulated with safe, effective, and natural ingredients and are helpful in fighting skin damage. Please visit our Facebook page or website for more information on our extensive line of products. 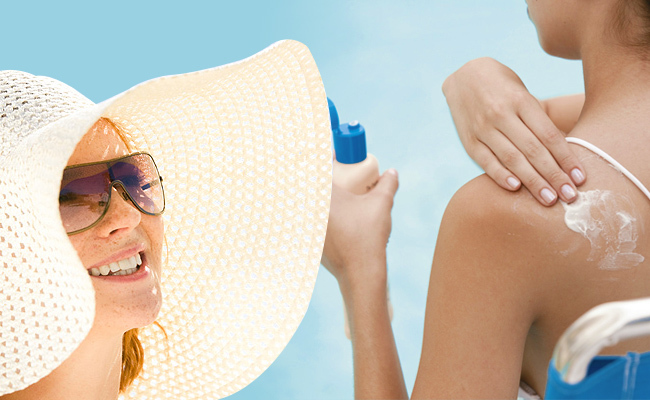 You owe it to yourself to protect your skin from harmful rays this summer!